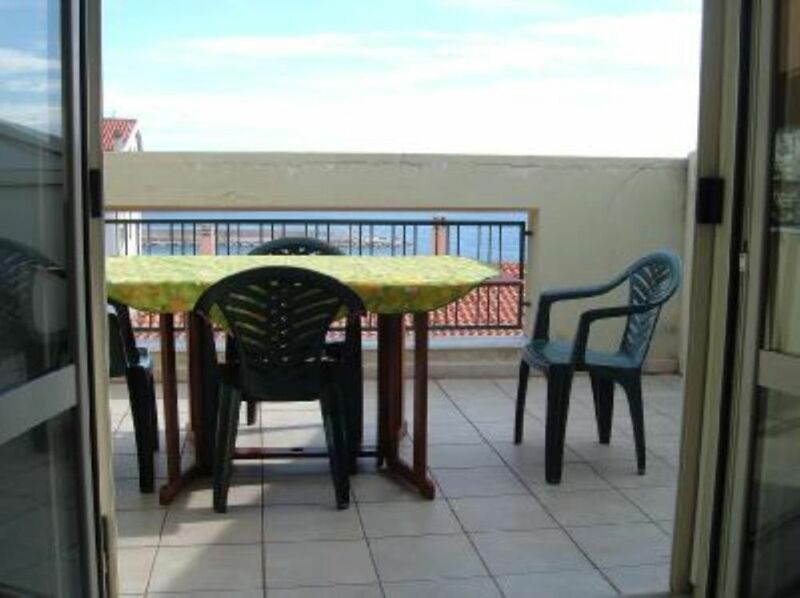 Apartment 80 m away from the beach, sleeps 4: there are 2 double bedrooms, living room with kitchenette, bathroom with shower, terrace with a stunning view of the gulf. 1 bedroom with a master bed, 1 bedroom with 2 single beds. Every room has a wardrobe and a window. Living room with fully equipped kitchenette with 4 burners, oven, refrigerator, tableware, saucepans, cutlery, dishes and glasses, coffee maker and all necessary flatware to cook and eat. Table with 5 chairs. Sofa. TV. Equipped terrace with table, chairs and parasol. Ideally situated near the beach; here you can enjoy pleasant walks, climbing and day trips. Situated near the centre of Cala Gonone, in a calm residential area near all facilities: beach 80 m away, supermarket, bars and restaurants 200 m away, port 250 m away, bus stop 200 m away, etc. Easy parking on the street, 0 to 100 m from the house. You can also rent kayaks at Cala Gonone. You can rent an inflatable raft or a daily minicruise at the Azzurra club. Equipped terrace with table, chairs and parasol. Magnificent panorama. Property according to the description, it is in a great location and we loved the view in the balcony. Everything was fine. Only thing I would suggest is: owner should make tenants aware of the recycling system and dates of collection in the first day you move in. Not that easy to park on the narrow roads around. Most of the time the spaces are taken and you have to find a safe place to park your car. I would go again in this property. Also there is a supermarket in front of the building. I guess rather good value for money. We found it a bit unsuitable for our 4 year old daughter due to security reasons (hight- balcony/windows) and complaints from neighbours about noise 0930 am when they wanted to sleep. More than 80 meters to beach - 200 meters? No parking facilities with parking, but depending on space in streets. Extremely hot first two night, better when second fan arrived for the other bedreom. Lack of English understanding by hosts. Nice balcony, especially in afternoon when in shadow. Beautiful surroundings! "Everything was OK, the accommodation and the location are great." "The owners was very friendly and met us in front of the building on time. There was a bottled water in the refrigerator. We also got a lot of information from him and maps of the area. The apartment was very clean, convenient and spacious, we even got a heater. It is a very quiet area (in winter) close to the beach." "The owners met us with home-grown tomatoes, grapes and wine from the area! There was also bottled water in the refrigerator. We also got a lot of information from them about the area including maps. The apartment was very clean, convenient and spacious. It was a quiet area close to the shops and beach. The area is extremely beautiful!" Wir verließen uns auf die guten Bewertungen. Nach Ankunft stellten wir aber das Gegenteil fest. Beispielsweise klebte unter der Duschmatte alter schwarzer Dreck. Der Duschvorhang-Saum war ebenfalls völlig schwarz verdreckt. Duschen wäre nur unter Ekel möglich gewesen. Die Küchenmöbel und der Herd hatten lange keinen Lappen gesehen und die Matrazen waren fleckig. Wir konfrontierten die ältere Hausdame damit. Anstatt die Mängel abzustellen, wurden wir kurzerhand aus der Wohnung geworfen. Wir hatten großes Glück, dass wir schnell eine neue Wohnung fanden, die sehr sauber war und zudem auch noch viel preiswerter. Hier sollte schnelles Geld verdient werden für wenig Leistung. Überhaupt nicht zu empfehlen! Mai conosciuto persone così maleducate ed arroganti e false. Dicevano di essere disturbati dal rumore delle barche! un appartamento più economico, ed hanno inventato di tutto per andarsene. Sono contento di non averli ospitati. Cala Gonone is situated on the eastern coast of Sardinia, in the center of the gulf of Orosei. From our house you can easily visit the city on foot and enjoy the beautiful central beach, near the port and the vast coastline of Palmasera, where you will find aquatic parks, kayak rental and pedalo. If you travel by car or enjoy the local shuttle service, you can soon reach the evocative beach of Cala Fuili, which is just 3 km away, or the beaches of Cala Cartoe and Osalla (8 km away). From the port of Cala Gonone you can also sail to some daytrips by cruise or rent an inflatable boat at the “Azzurra” club. By renting an inflatable raft at the Azzurra club you can enjoy the sea on your own or, if you prefer, you can put yourself into the hands of an Azzurra tourist guide that will accompany you through the daydrip. The trips on the gulf include some stops at the amazing beaches of Cala Luna, Cala Biriola and Cala Mariolu, but you can also bath at the Venere swimming pools or at Cala Goloritzé; if you love grottoes, there are even guided tours inside the karst caves of Bue Marino or Grotta del Fico. Thanks to their large and morphologically varied territory, Cala Gonone and Dorgali offer many activities: Trekking, climbing, running and biking. You will have the possibility to discover some charming destinations such as the Gorroppu canyon or the nuragic village of Tiscali. Do not miss the stroll from Cala Fuili to Cala Luna, or for the bravest ones from Cala Sisine to Cala Luna. If you are fond of grottoes, you can visit the wonderful cave of Ispinigoli. For the more expert walkers there is the outstanding Mount Oddeu that leads up to the plateau of Doinanicoro, a plain of 3 km2 where you can visit the natural building “Su Suercone”, another big limestone sinkhole. Interspersed on the upland of Supramonte, there is a string of beautiful “cuiles”, the trademark stone and juniper sheepfolds that served as dwelling for shepherds. They were built in strategic places in order to observe the area, and some of them have been recently renovated. Once you arrive there, you will enjoy stunning views and landscapes. Near the residential area of Cala Gonone you will find the sheepfolds of Sa Tintura and Ziu Tattanu on the mount Irveri, as well as the Monte Ruju fold at walking distance from the others. They can all be reached through the parkway leading to the Littu forest. For those who want to discover the region with the help of a tourist guide, the campground offers a daytrip service by jeep, so that you can enjoy the magic of the region’s interior in a totally relaxed and safe way. For the bravest ones there are many extreme sports to enjoy. If you love gliding flight you can jump from the mountain peaks around Cala Gonone or enjoy the new-built runway for light aircrafts in Dorgali. Moreover, if you love climbing do not miss the seaside and mountain Supramonte. Our mountains feature beautiful soft rock walls that look out over the crystal clear water of the Orosei’s Gulf, surrounded by the stunning vegetation of the Mediterranean ‘Macchia’. If you love diving, there are many visits to the gulf wrecks of the Second World War or to the stunning seaside/mountain grottoes. You can also go shopping in Dorgali (7 km away from Cala Gonone), one of the main centres of the Sardinian craftsmanship, with visits to the wine cooperative and the dairy factory of Dorgali, where you can buy the quality table Cannonau wine and the delicious Sardinian sheep cheese. From Cala Gonone you can reach and visit the wonderful sources of Su Gologone in 20 minutes by car, and then continue towards Oliena and Orgosolo, typical villages famous for their wall paintings. How to get to Cala Gonone. Nearest port: Olbia. Nearest Airports: Olbia, then Alghero. Directions to reach Cala Gonone. From OLBIA take the motorway to Nuoro (ss. 131). Leave the motorway about 20 km before Nuoro, when you find the sign to Dorgali. Take the exit Dorgali and then Cala Gonone. At Cala Gonone follow directions to ‘Supermercato Europa’. From ALGHERO take the exit Nuoro. Do not enter Nuoro, but follow directions to Olbia on the motorway. Leave the motorway about 15 km after Nuoro, when you find the sign to Dorgali. Take the exit Dorgali and then Cala Gonone. At Cala Gonone follow directions to ‘Supermercato Europa’.